This salad is refreshing, healthy, and simple to make with just four ingredients. Its wonderful to serve with grilled chicken which is what I do or just alone as a side dish if you are a vegetarian. You can serve this warm or cold, whichever you please. I find this colorful salad kid friendly too. 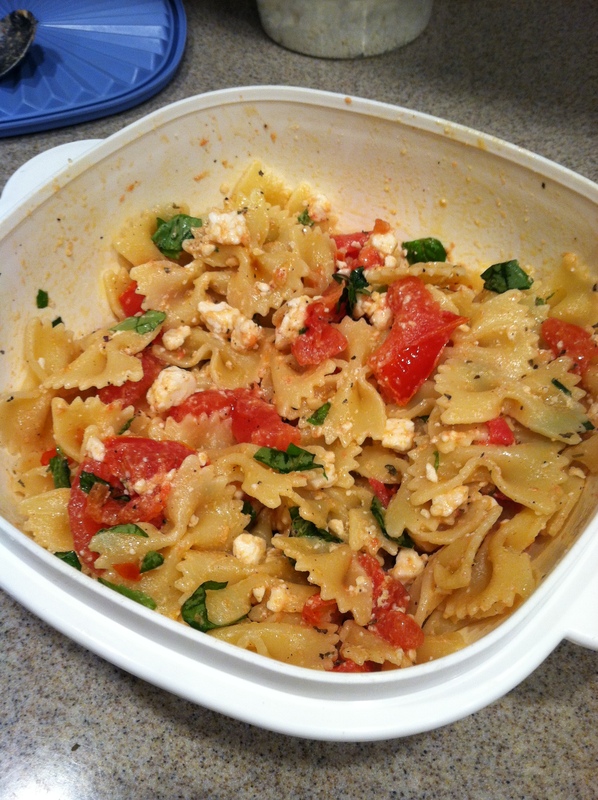 Not a fan of feta, simply just use goat cheese or cubed cheese of your choice. 1. 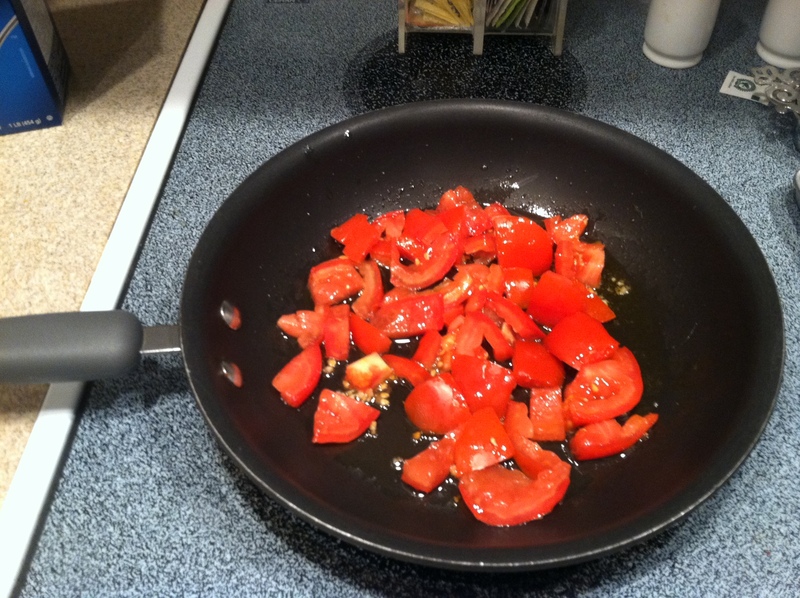 In a saucepan over medium heat, combine oil, garlic and tomatoes. Cook tomatoes for about 3 minutes until the juices start to be released. Season with salt and pepper. While this is cooking boil your water and cook pasta accordingly to box directions. 2. 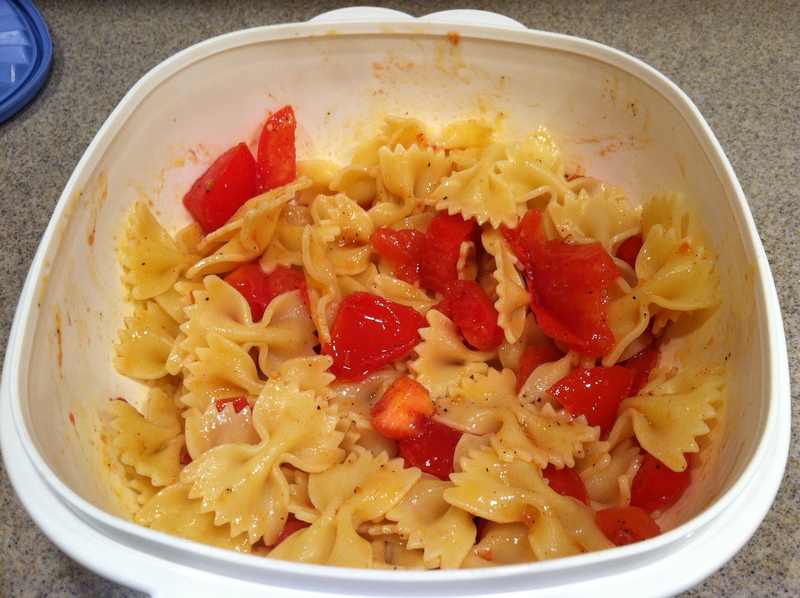 Combine pasta and tomatoes. Mix well. 2. 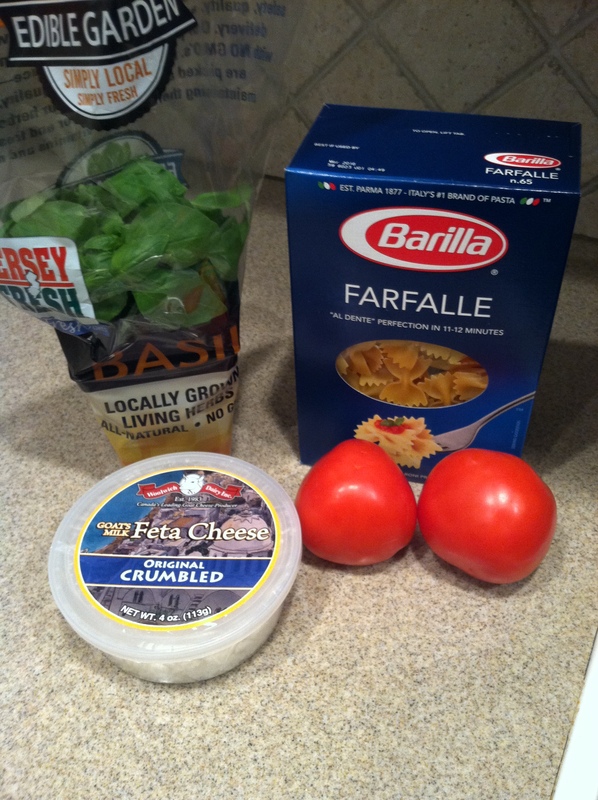 Add in cheese and basil. Toss. Sprinkle on some Parmesan cheese for a little extra flavor. Serve hot or cold! Easy, low calorie, simple ingredient recipe! Need a way to use left over corn on the cob! This salad is perfect atop chicken or even as a side dish with your meal. My mom made this for a BBQ that she hosted at the shore and brought home some of the leftovers! Even a day old this recipe still was filled with flavor! 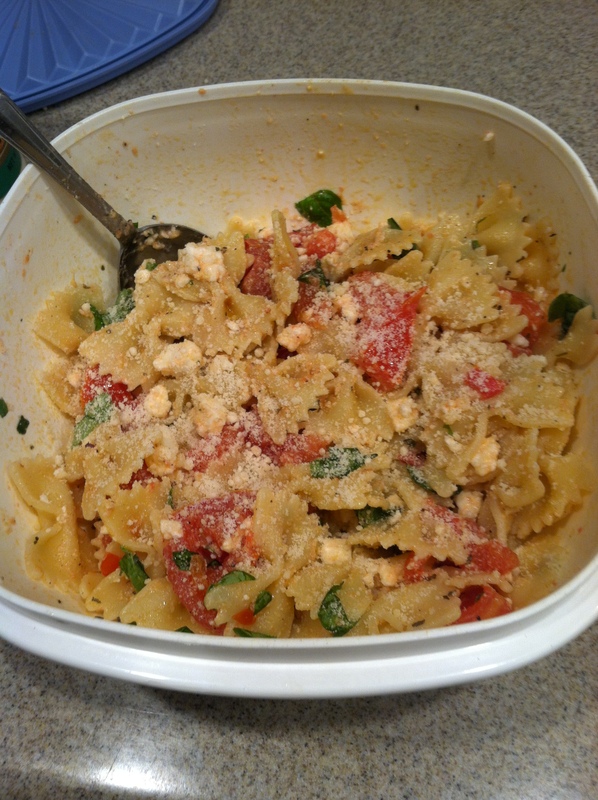 Here is the recipe for this delicious salad! 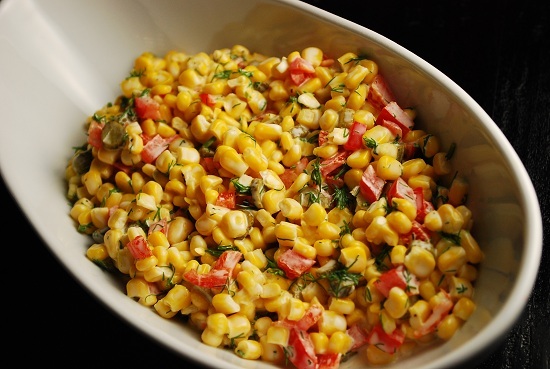 Cook the corn in boiling salted water for 5 minutes. Drain, and when cool enough to handle, cut the kernels off the cob into a mixing bowl, with a sharp knife. Add the rest of the ingredients and mix thoroughly. Chill and toss again before serving. Taste and adjust seasoning to your tastes. Did you know ….Its strawberry season! Strawberries were originally called strewberries because the fruit was ‘strewn’ amongst the leaves of the plant. Its that time of the year to go strawberry picking, Not sure where to go in your state. Find out here! 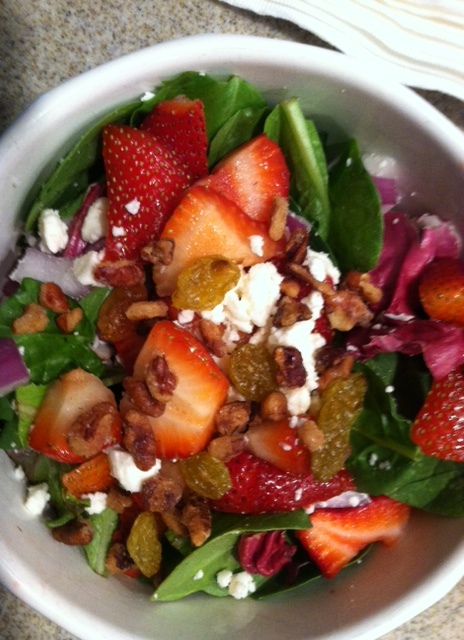 Here is a simple Spinach & Strawberry Salad that I paired with grilled chicken. Want to find out other recipes you can make using strawberries for breakfast, lunch or dinner, click here!